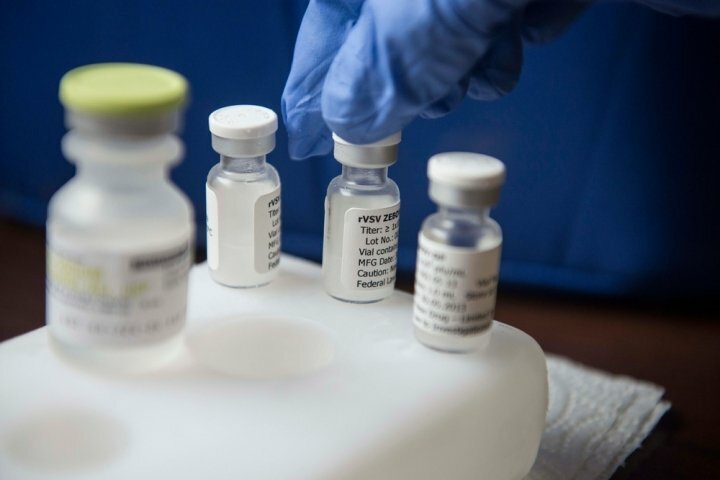 The interim review indicates very promising results for one of the Ebola Vaccine candidates and states that the efficacy of the vaccine is 100%. The trial of the so-called rVSV-EBOV vaccine, led by WHO (World Health Organization), Médecins Sans Frontières, Norwegian Institute of Public Health and the Guinean authorities - started in March 2015 in Guinea and focused on “rings” of people around infected patients, as well as front-line workers at risk of contracting the disease. 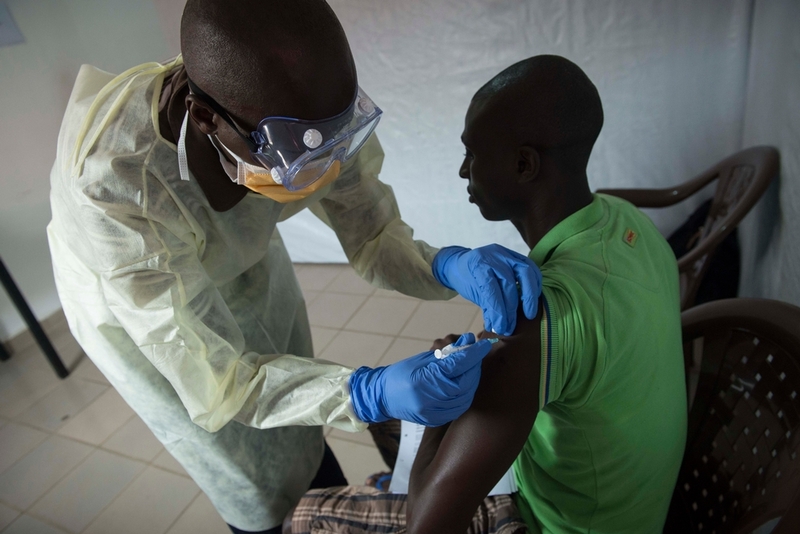 MSF is heavily involved in the trial by administering the vaccine to 1,200 front-line workers in Guinea including doctors, nurses, paramedics, laboratory staff, cleaning staff, and burial teams. Dr Bertrand Draguez, who has been spearheading the MSF platform on experimental tools for Ebola, tells us what that means for the fight against the disease. The current data basically tells us that the vaccine works to protect people against Ebola. Even if the sample size is quite small and more research and analysis is needed, the enormity of the public health emergency should lead us to continue using this vaccine right now to protect those who might get exposed to the disease: contacts of infected patients and front-line workers. rVSV-EBOV experimental vaccine against Ebola. For the first time ever, we received evidence of efficacy of a vaccine that will help fighting Ebola. Too many people have been dying from this extremely deadly disease, and it has been very frustrating for healthcare workers to feel so powerless against it. More data is needed to tell us how efficacious this preventive tool actually is, but this is a unique breakthrough. For example, it is not clear how soon protection kicks in and how long it lasts. All this needs to be determined by more research and analysis. The current pattern of the epidemic - which is sporadic and has relatively small chains of transmissions popping up here and there - means that all the components of the fight against the disease need to be continued. This includes Ebola case management, isolation, community outreach, safe burials, health promotion, psycho-social support and contact tracing. But of course, adding a preventive tool in the mix will accelerate the break-up of transmission chains by targeting people who have been in contact with infected patients as well front-line workers. Now that we know that the vaccine works, people who need it most should imperatively get it as soon as possible to break the existing chains of transmission. Replication of a targeted approach focusing on those most at risk of infection should therefore happen immediately and we urge governments in affected countries to start using this vaccine as soon as they can within the framework of the existing trial. Mamadama Soumah is a nurse that volunteered to enroll the vaccination trial. Dr Kaba Oumar gives her recommenations. At the moment, the epidemic is quite localised to a few hotspots across the affected region. This kind of pattern means that it would make much more sense to focus our energy and resources in vaccinating people around infected patients and among frontline workers. They are the people most at risk of contracting the disease and should therefore be targeted as a matter of urgency. It is rare that MSF gets involved in clinical trial, but faced with the enormity of the crisis and our unique position on the front-line of the fight against Ebola, we took the decision to take part. In Guinea we have already vaccinated 1,200 frontline workers in this first phase of the trial. Now that the preliminary efficacy results are known, MSF is determined to expand on this and encourage and contribute to similar trials in Sierra Leone and Liberia. These results are promising and we should definitely make this vaccine available to at-risk groups as soon as possible. It is also of crucial importance to keep working on all the pillars of an Ebola response including contact tracing, health promotion and isolation of infected patients.